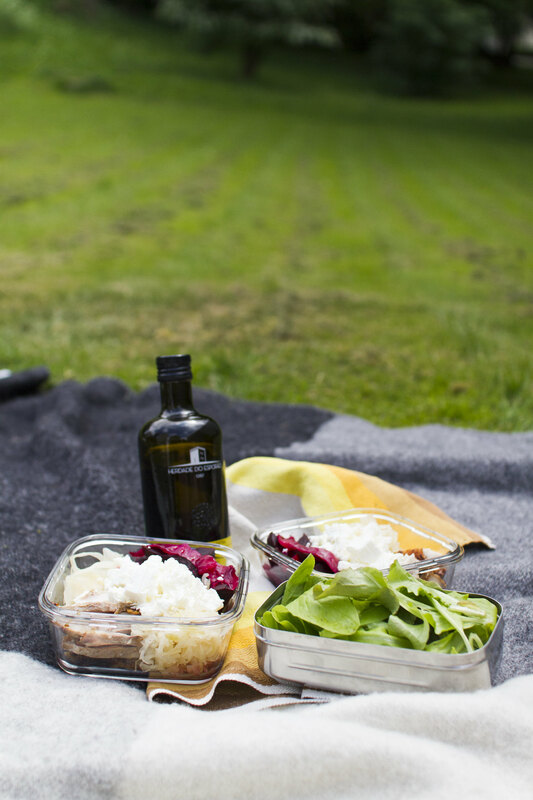 Now when the weather is usually nice, we feel a urge to really make use of it. That’s typical for living in a country like Sweden. 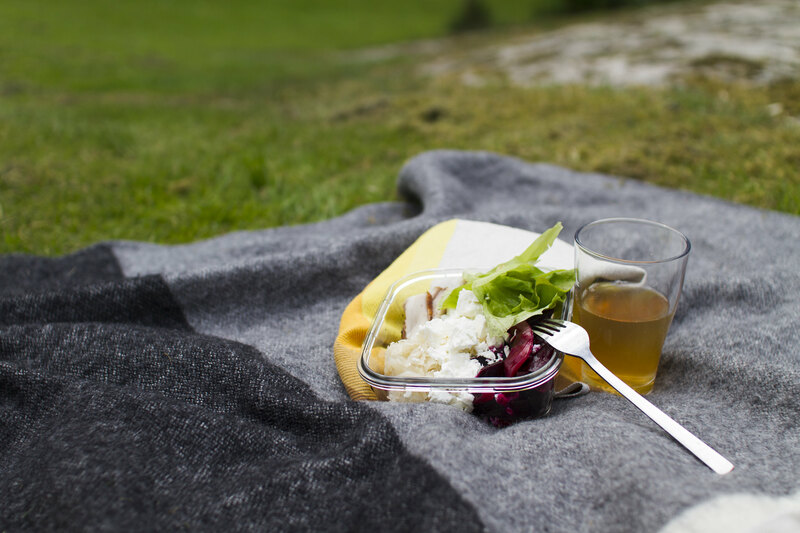 One way is to have a meal outside as a picnic instead of sitting inside at the dinner table as usual. To not make a huge project out of it, it’s enough to just go outside the door and not much further than so. Luckily, even though we live in the middle of the city, we have a quite large and green backyard. Don’t forget the olive oil. 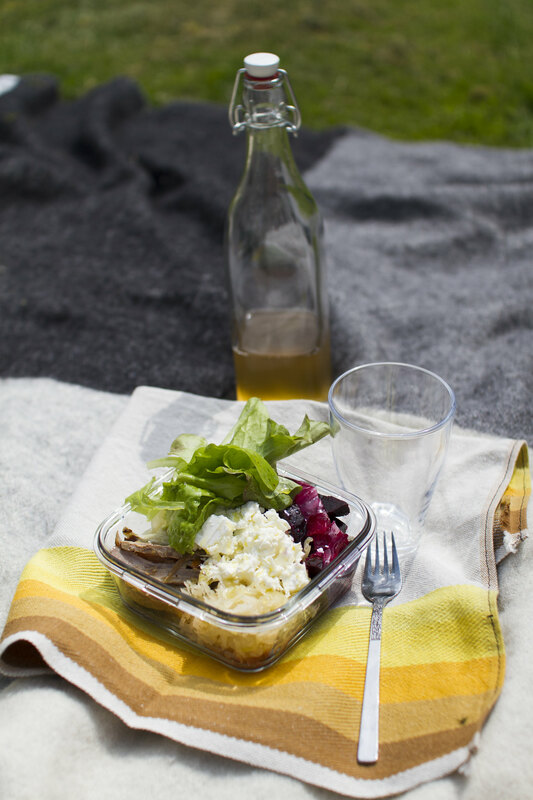 Our picnic food was made with leftovers from pork belly, steam cooked beets and cabbage, sauerkraut, feta cheese and our home grown green salad. That was topped with a good olive oil. The drink to it is of course kombucha. It doesn’t need to be more complicated than that to add some extra value to everyday life.